EZA curates March games: What are you anticipating? What's worth checking out? These are new games that are releasing/being ported this month in any capacity (not "backlogs/what you are playing this month"). The angle here is sharing your anticipation and promoting game discovery (as opposed to sharing comments about a first playthrough in progress - that belongs elsewhere). Don't think it needs a lot of introduction; It's a PC port for FF XV and from what I played of the demo, it feels great. While I am familiar with the franchise, this will hopefully be the first one that I will finish myself. Really hyped for this. 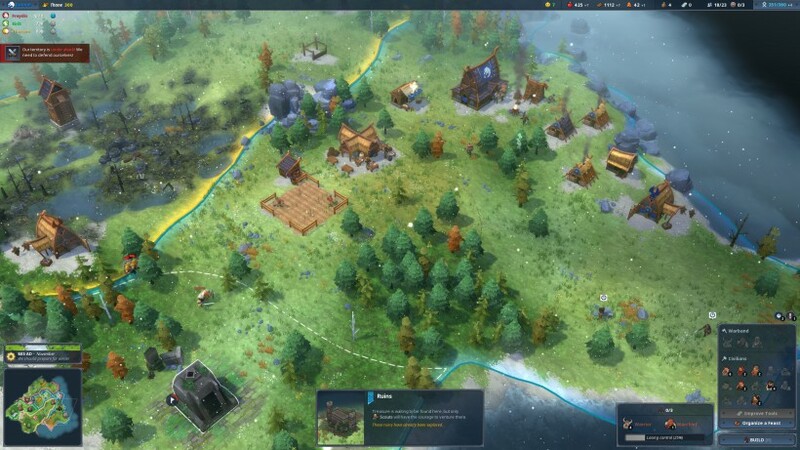 'Northgard is a strategy game based on Norse mythology in which you control a clan of Vikings vying for the control of a mysterious newfound continent." I checked it out when it first entered the early access and I must say that it's shaping up nicely. The closest comparison I can make is to The settlers 6: Rise of an empire, but with vikings. Since I know this community is kinda... let's call it "indifferent" towards the strategy games, this probably won't get a lot of buzz, but I believe it will surprise you if you give it a shot. It is much less intimidating than CIV 6 and really, REALLY charming. The two games that I'm kinda sceptic about are Ni no kuni 2 and Sea of thieves. The first one I know too little about and the second one I have no one to play with and as one "wise" man once said: "I play by myself". So I hope others will manage to show whether these two are worth another look. Ni No Kuni 2. Carrying the torch of colorful console JRPGs. 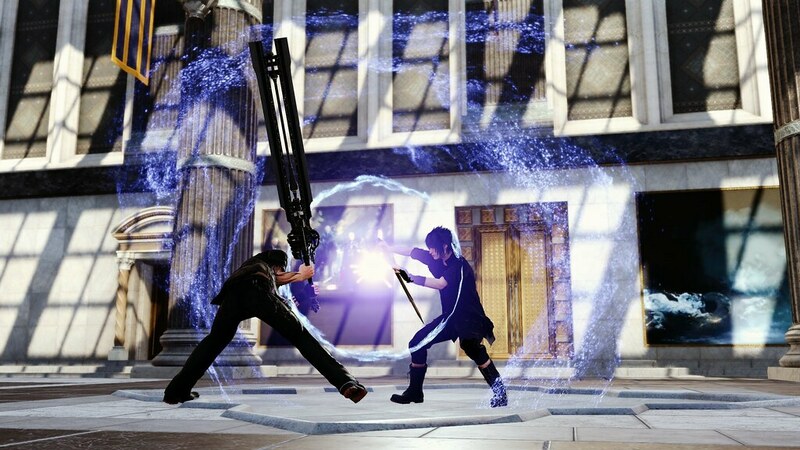 From what I've seen it has Ghibli-esque designs and the battle system is active combat based, like the Tales series but I'm not completely in the know so maybe someone else can describe the gameplay in a more exciting way for us. Alliance Alive. Basically this is a followup to Legend of Legacy on the 3DS --- carrying the torch of portable turned based JRPGs! You control a party of 5 characters with fixed roles, and there are 9 main characters in the game. During random battles there is a grid/formation based system as well as a couple more new systems compared to its predecessor. I've been hearing news about this one since like 2016 and am glad it is finally coming out. If you've been interested in Legend of Legacy or the Bravely Default games then this is definitely one to keep an eye on. I'm not sure yet if I'm playing either, but I am mighty interested in following the release and reception for them. Finally, Nightdive's remasters of Turok: Dinosaur Hunter and Turok 2: Seeds of Evil both arrived on Xbox One this month! (March 2nd). Both games are among my favorites (it was hard for me to omit Turok 2 from my post to the "top 10 of all time" thread) and the PC remasters were great so I want to give these Xbox ports some wider attention. Basically the game of the year edition with all the dlc fighters included (Hellboy and TMNT! ), and also some new features like an improved tutorial and a higher level cap. I have been putting off getting this, despite loving the first one, because it's cheaper to wait for this version. Fifth game in an Ubisoft series. So yeah it has open world stuff and crafting and shooting. I don't think the game will necessarily be amazing, but I had fun with FC4 and the game has a bear you can be friends with who is named Cheeseburger. Mostly though this is a game my BF is going to adore. A bonkers racing game from last gen. Insane sense of speed, detailed, violent crashes, in one of the best open worlds made for a racing game. Topped off with a great soundtrack. Also, buying this will show EA that there's interest in Burnout, and for remasters. This is the first step towards remasters of SSX franchaise, Skate franchaise, and the Mass Effect trilogy. You swear, drink and look for booty with friends. And then you come home and play Sea of theives. @nillend never played a Settlers game but that Northgard looks interesting and probably one I would like to check out if I had more time, how do those compare to something like Banished? I liked Banished but after a while I just got tired of puninshing it was. @bard91 It's less focused on town-management and more focused on conquering territories and combat. In a way there is a survival aspect to the game, like in Banished, in that you need to ensure that you don't over extend yourself and get punished during winter, but the aim of the game is to win through conquest or another victory conditions. I still don't quite get what the gameplay is about, looks like a top-down stealth/action game, a bit like Commandos? I'm not familiar with this series but I quite like the art style so it caught my eye. Definitely waiting for reviews for that one, could be a good surprise. Probably not gonna be great, but I like the concept, WWII strategy game, could be fun. Kirby is probably the only high-profile Nintendo series I've never touched, but this one is shaping up to be good so I might pick it up to play with friends. I loved 3, never played 4 or Primal, so I'm ready for some more Far Cry in my life! At first I thought the setting was bland and not exotic enough, but I've grown to really dig the idea! Neither of those have release dates announced for Switch but all signs point to a March release and I'm definitely planning to pick those up day one. The first game that I'll be buying on release no matter what this year. Really looking forward to playing this, my SO has agreed to be my co-op partner (not like she has a choice in the matter :) ) . My best guess so far, it's basically a co-operative story-driven adventure game, where you play two partners (in crime?) to try and escape from prison. It looks absolutely fab, and I really can't wait to see the kind of puzzles and situations we have to try and deal with. From Paradox Interactive, known for the likes of Stellaris, Crusader Kings, and Cities: Skylines, and Haemimont Games, known best for the Tropico Series, you play an overseer who must colonize Mars and ensure the survival of the colonists. 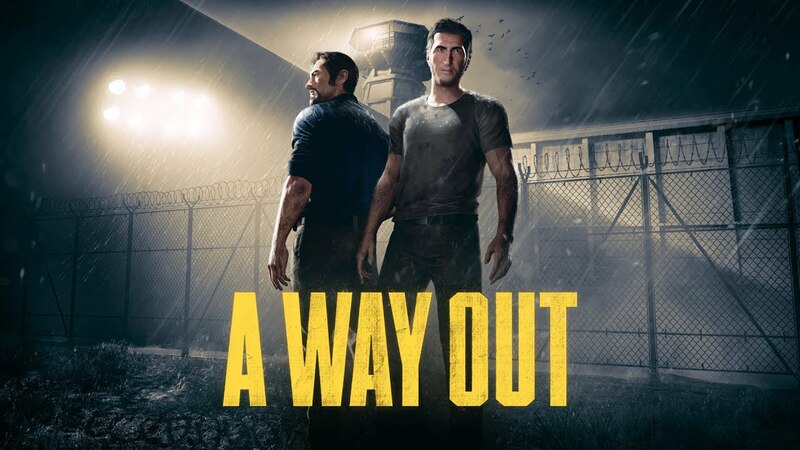 All the streams and the dev diaries are pointing towards this being an absolutely stellar game. In EZA terms, this is my Hotpocket for the month of March.